"Achieve beautiful-looking lips. A collection of easy-to-wear shades in a sheer, comfortable formula. Enriched with our own blend of natural source vitamin E, avocado oil and shea butter." 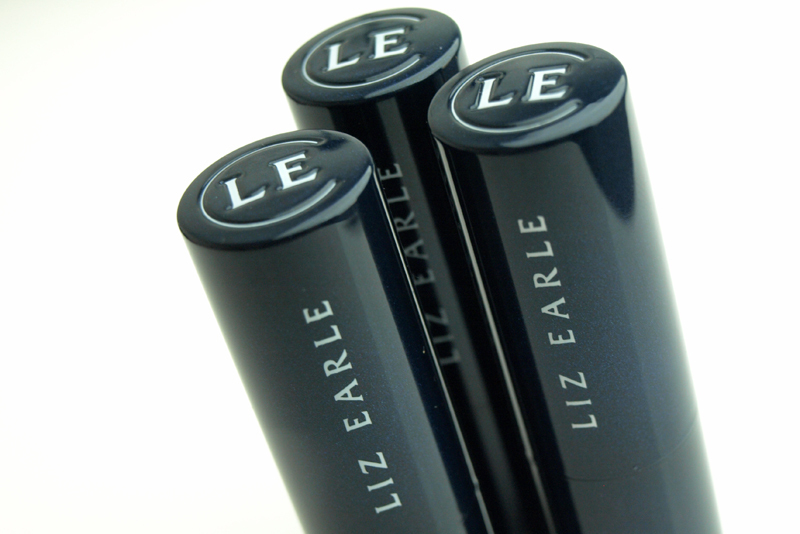 I mentioned many times that I adore Liz Earle skincare and makeup. 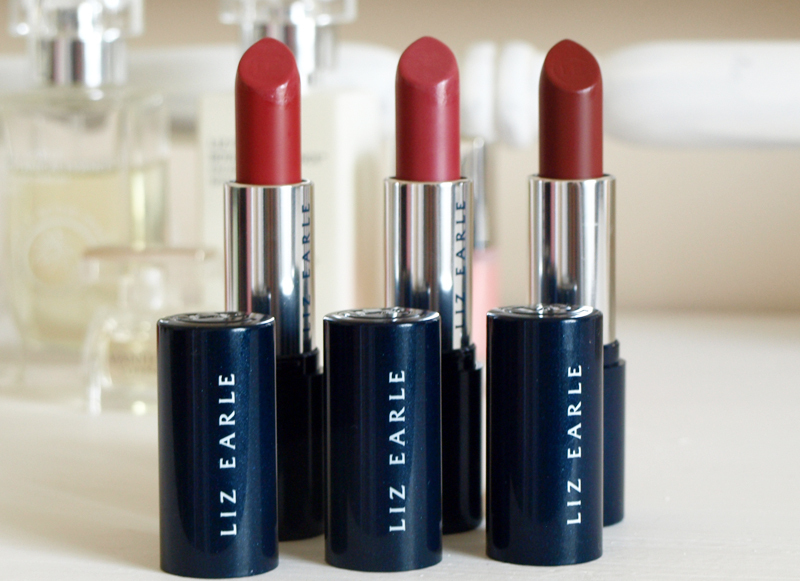 I use products from the Colour range every day, but haven't tried the Signature Lip Colour until November. The packaging is really nice and elegant. Like the rest of the makeup range it is midnight blue, but it seems to have more sparkle. 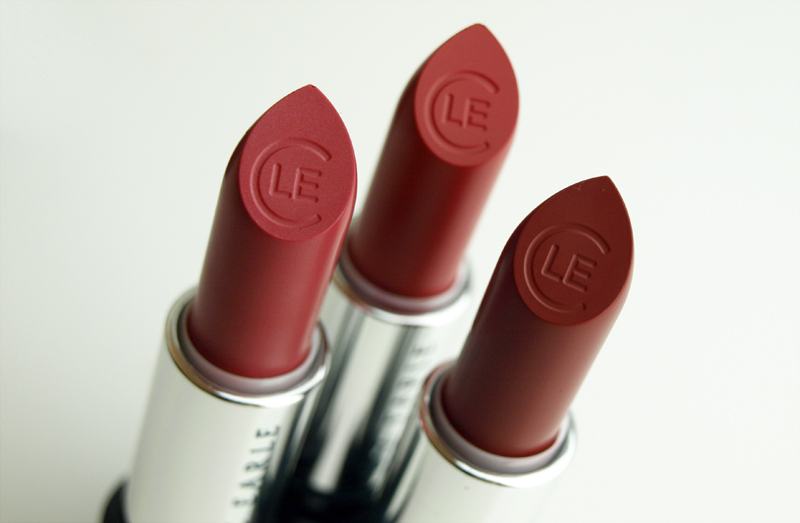 The lipsticks are a dream to apply and feel very luxurious and nourishing. The formula is highly moisturising and includes vitamin E, avocado oil and shea butter. All colours look very pigmented in the bullet, but once applied they are sheer. The colour is easily buildable though, especially the more intense shades. 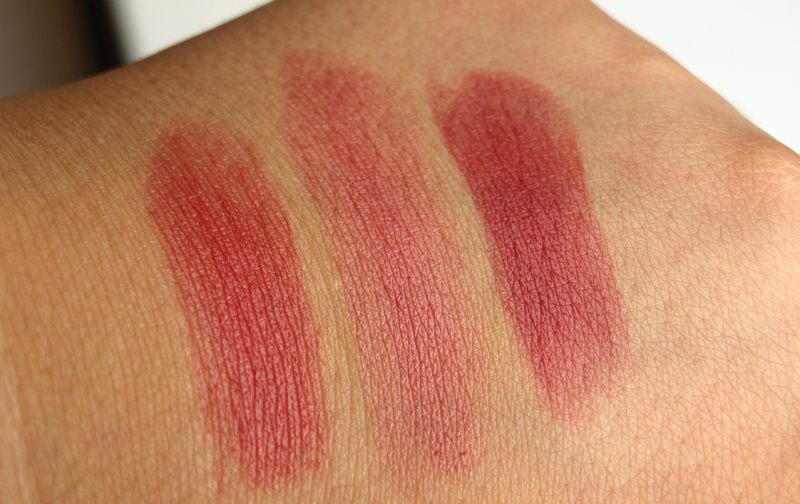 Cranberry looks very pigmented with one layer and is perfect for a statement lip, when Raspberry looks very subtle and sheer and it is my favourite shade from the three. Rosehip is a gorgeous, classic warm red and looks very elegant. 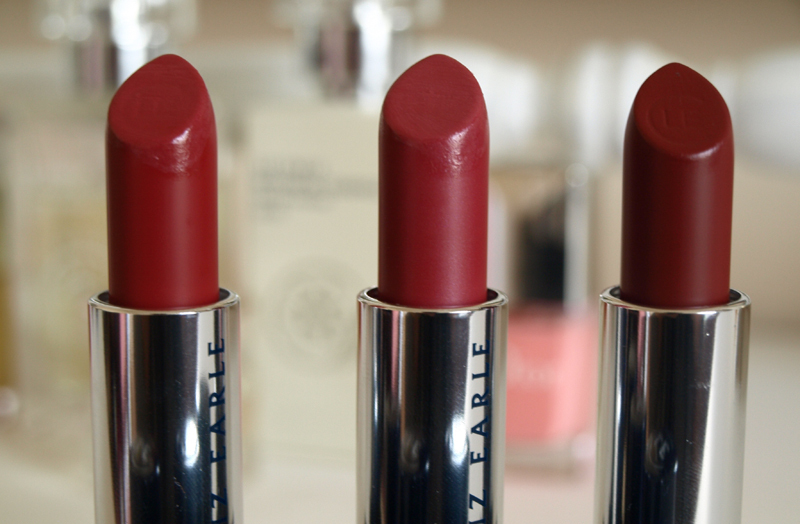 The lipsticks are easy to wear and because they feel like a lip balm, I apply them straight from the bullet. The wear time is between 2-3 hours, which is quite good. Overall, I love the consistency and the way the lippies feel on my lips and the three lovely shades I am reviewing today are perfect for A/W. If you can't see yourself wearing any of the colours I featured, there is 19 shades available and I am sure you will find one you can fall in love with. I added Tea Rose and Melon to my Christmas Wishlist already. 04 Raspberry - Muted raspberry-pink. An easy-to-wear blend of red and pink tones. 01 Rosehip - Soft, muted red. 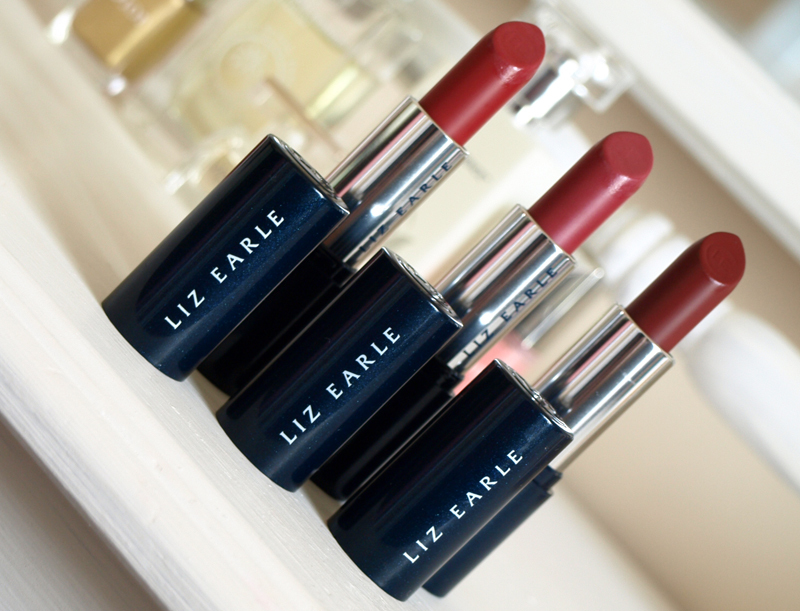 A staple, ‘suits all’ classic red. 11 Cranberry - Muted, soft wine. A red with earthy tones to warm the complexion.